Illinois Jobs with Justice Voter Canvassing! THANK YOU to our volunteers who helped us make 1503 calls and door knocks in 3 IL House Districts: IL 42, IL 49, and IL 81 in the run-up to the 2018 midterm elections. We had 314 engaging conversations with voters and the majority agreed with our Illinois Jobs with Justice Platform. 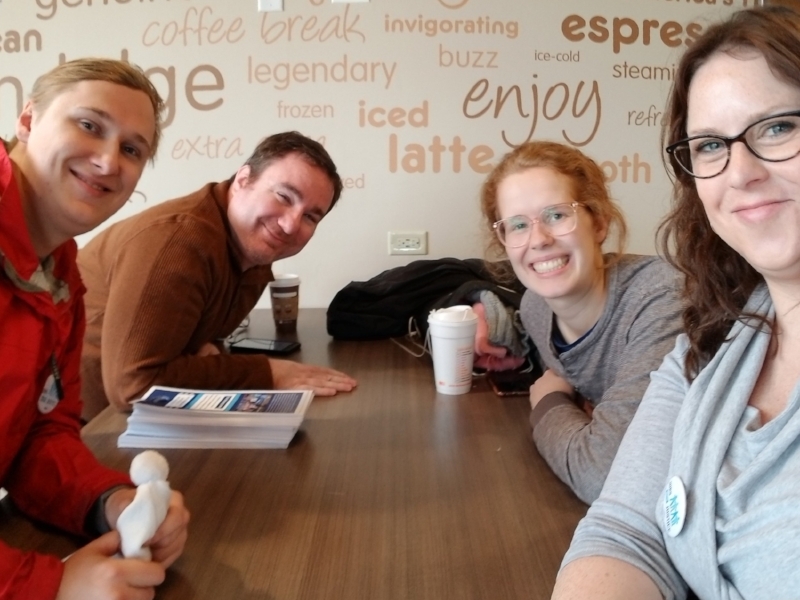 We had fun, learned a lot and are ready to get back out there talking to voters about the issues that matter in the municipal races in Chicago. So, we still need you financial support. If you can make a donation, please do!